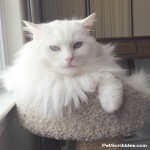 Last Friday, we said goodbye to our cat Lulu, who was 17.5 yrs old. She was in kidney failure and although treatments helped, the disease still progressed. It was a gut-wrenching, heart-breaking decision to say goodbye, but we never wanted her to suffer. Otto (our other Ragdoll) spent several days looking for her. He is sad and has been glued to us. 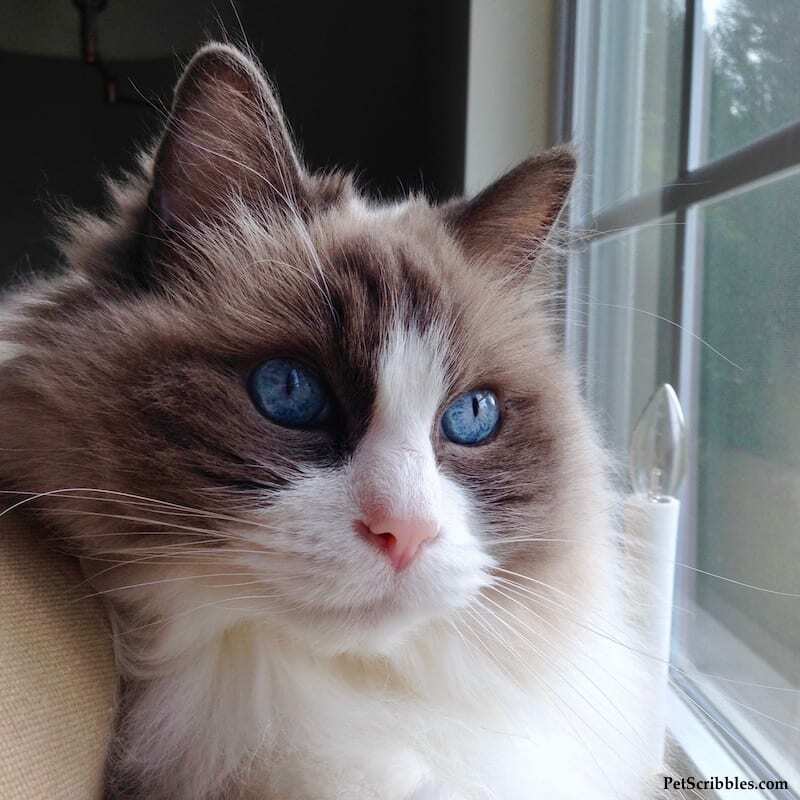 Lulu was a petite cat (uncommon for the Ragdoll breed) but had a huge personality. She was a “constant” for me and my husband. We hope she has already met up with her big brother Matisse as well as Aliza. I brought those three cats into our relationship, and Lulu was my husband’s sidekick ever since. We feel like it’s the end of an era, with her passing, and it hurts. Rest in peace Lulu. I’m taking a short break but will be back soon with more craft and gardening posts. Don’t wake a sleeping cat! Is Lulu Cat happy with her new “big” little brother? My heart wants another cat . . .
My heart goes out to you as a fellow pet lover. What a great life Lulu must have had with such a loving mum and dad like you and your husband. Take your time to get through it and take some time just for ‘you’. Best wishes. Thank you Suzanne. Your words mean so much. Our fur babies are indeed a huge part of our lives. So sorry for your loss! Such a huge part — I totally agree Kim… thanks for your words. So sorry to hear about the passing of LULU. I am sure she knew how loved she was. Thank you very much Hope — I sure hope so.